For the longest time I resisted the tech binding revolution. I had BCA Trekkers, the Ramer RAT (Randonee Adapter Thing), Naxos, Marker Tours and Freerides. Then about 8 years ago I made the switch to tech bindings and I haven’t looked back; except for looking back at my partners that are trying to keep up. 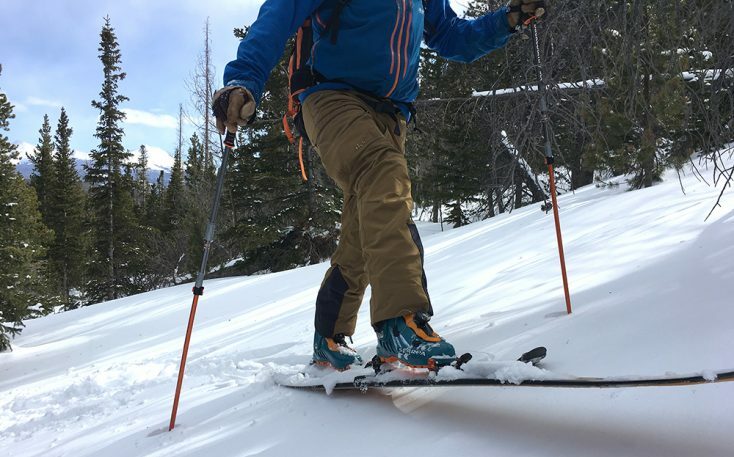 The tech binding has revolutionized backcountry skiing. G3’s Ion 12 is a great binding and a mainstay of my backcountry quiver. I’ve been on my two current pairs for the las two and a half seasons with about 200 days total, vertical averages about 4k per day. They can handle what I dish out and that’s lots of abuse. Being made of metal really helps add to the strength level. With no broken plastic parts it raises my confidence level to go get it done in the hills. To lock or not to lock, that is the question? With a toe of 12 and a range of adjustment from 5-12 in the heel these bindings are pretty viselike in their grip. When set to the boot properly you will not have faulty release issues at the heel or toe. If the boots aren’t spaced correctly or you have ice buildup under the toe spring you may have release issues. G3 has put a ski pole poker hole under the toe spring to remove ice more easily. This being said when I ski steep, exposed, no fall lines I still lock my toes into touring mode while skiing. There are some places in the backcountry that losing a ski can be fatal. One time while skiing the Savage Couloir, a 55 degree line, I had heel retention failure on a different binding. I ended up doing 10 unplanned downhill tele turns down the line. Fortunately there was a place to change my shorts at the bottom. One of my favorite features of the binding is the heel risers. They are made of metal which adds to the durability factor. 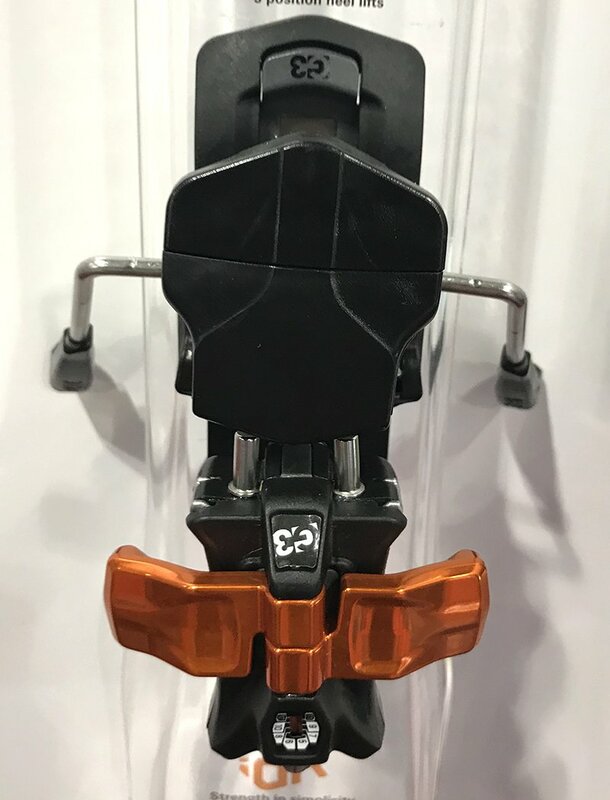 Instead of being a twist mechanism like some other bindings the Ions flip into place and stack to maximize height on the steeper ascents. Another favorite feature is the toe stopper that helps you position you boot more easily when stepping into the binding. This makes getting it the binding a breeze on the flats and really helps when you’re putting on the binding somewhere scary. 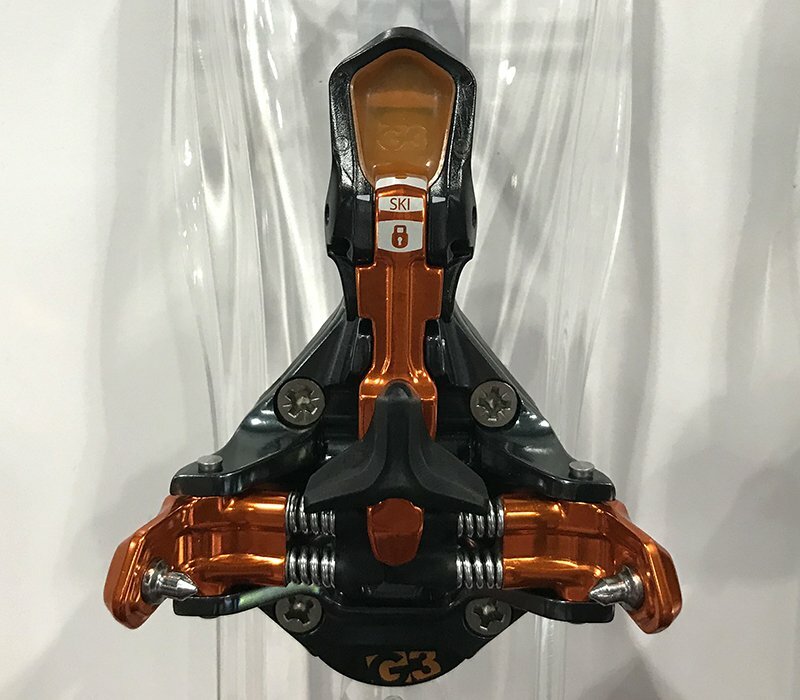 The G3 Ion 12 ($578.95) is heavier than some those little rando racing bindings that are out there but with the extra weight comes piece of mind. And that can make all the difference in having the confidence to tackle the lines that fill your dreams.